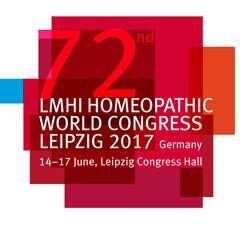 The largest homeopathic medical congress to date, with an expected number of 1,500 participants (including high German participation), will be taking place on the 14-17 of June, 2017 in Leipzig, Germany. This event will take place in a particularly attractive venue: the historical “Kongresshalle Leipzig”, which was reopened last year after a complete reconstruction and is located right next to the famous Leipzig Zoo. As an exhibitor you will have the unique opportunity to present your products and services to this large group of homeopathic doctors at the ongoing industry exhibition taking place during the entire time of the congress. 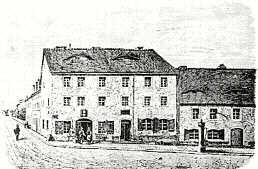 In Germany alone, approximately 12 million patients are being treated by homeopathic physicians every year. We invite you to make use of the possibility to introduce your company to these multipliers. Please register to our congress office with the exibitors’ registration form. We look forward to discussing your individual ideas and needs in a personal conversation! Please note: There will be no German Homeopathic Congress / Annual Conference in 2018. Important: Please do not fill in the fields level, room and stand number, only tick your desired orders and fill in the address details. Stand constructions are subject to notification or approval by the Leipziger Messe GmbH as the operator of the Leipzig Congress Hall. Therefore, please use aditionally the form “Stand Construction Application” Download. Stand construction applications are to be made in writing and solely towards the Leipzig Messe GmbH. The errection of an exhibition stand exceeding the floor space of 9 m² (maximum construction height 2,50 m) requires the submission of a construction specification incl. material specification and a full-scale stand drawing. Please submit these attachments to the Leipziger Messe GmbH by 10-04-2017 at the latest. Rental Furniture (tables, chairs, other stand equipment): Please book your equipment directly with our service provider FAIRNET GmbH Download. Exhibitors are responsible for the disposal of any waste that is created during the setup and dismantling of their stand and for the disposal of residual material. The exhibition space is to be left in a swept-clean state. You can use the form “Waste disposal” also for disposal of smallest quantities of waste material. Delivery/removal can only take place during the times indicated in the form “Booking Form Exhibition & Sponsoring”. Differing delivery times are to be arranged as a forwarding service e.g. through DHL Trade Fairs & Events GmbH Download.